Camping trips are one of my FAVORITE ways to decompress, contemplate life, and just have a blast! But as fun as they are, there's a lot to learn to have the best camping adventure possible. 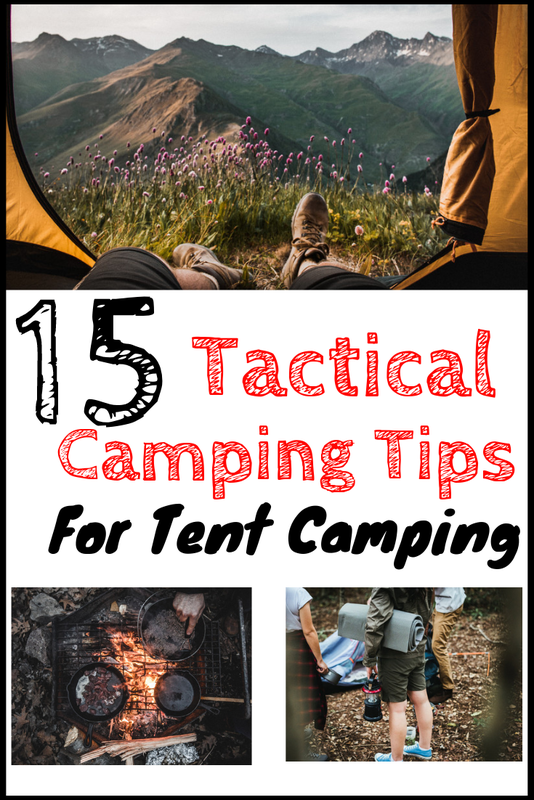 Don't worry - in today's article, I share the top 15 camping tips for beginners that Bill and I have learned in 5+ years of camping! 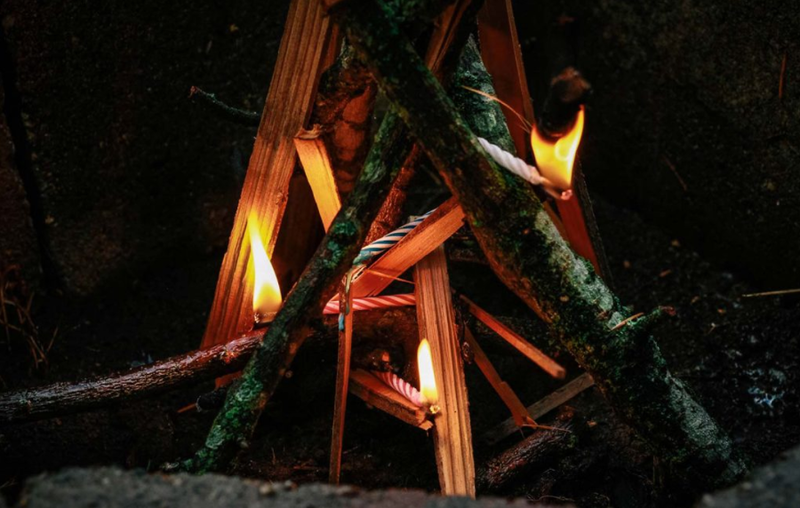 From remembering the fire starter to camping meal tips and waterproofing your tent, it's all here! Camping alone or with family and friends is one of the best things you can do. You'll improve your bond with each other and mother nature! 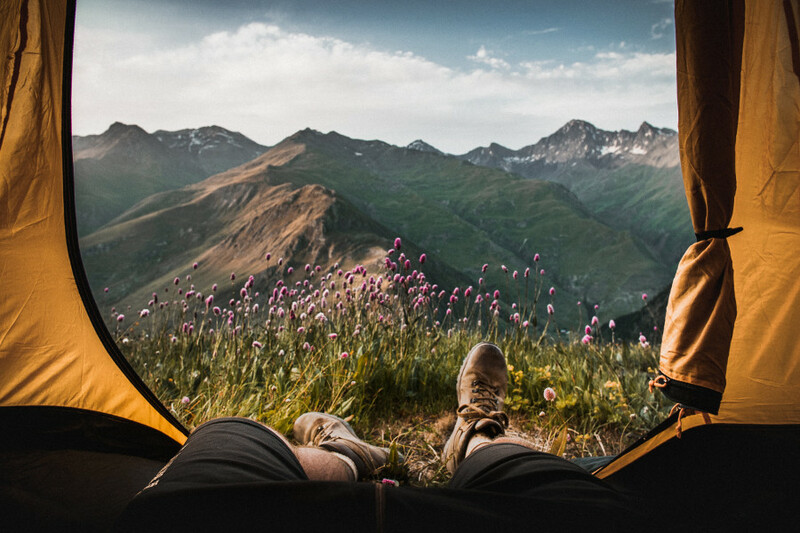 While there's nothing wrong with a spontaneous camping adventure, there can be some pitfalls if you don't book your tent site a few days in advance. For one, the campground or national park that you go to could be out of sites. Or, the only site they have is next to the bathrooms (and the light is kept on all night). We now know to book ahead (or at the very least, call before we leave our house). 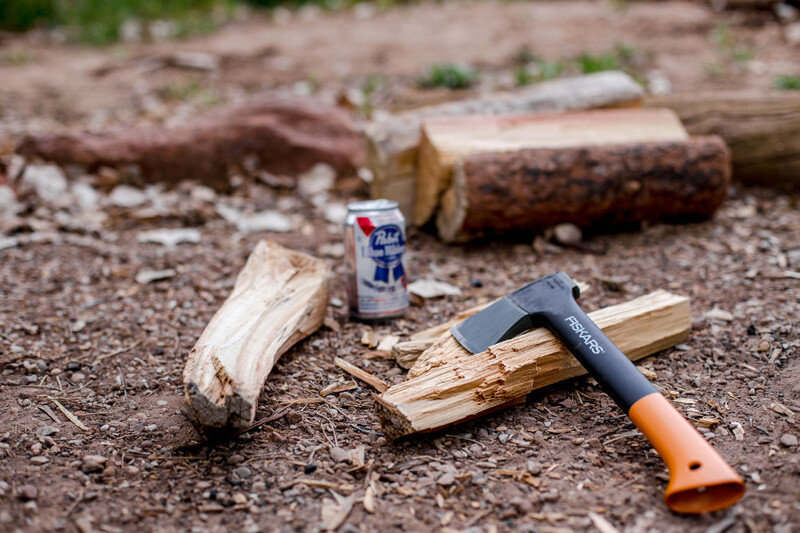 Tons of campsites provide firewood for a small fee (and some even have firewood for free). Some campgrounds, however, leave their wood outside where the wood becomes wet from rain and harbor moisture for quite some time. Make sure to purchase (or cut) your own wood if you can! Some campgrounds and national parks don't allow you to bring your own firewood - be sure to ask before you burn or you could get slapped with a hefty fee! There's nothing more frustrating than trying to set up a tent after driving for a while (especially if you're running on an empty stomach and just want to relax). This camping hack could save your sanity. No matter what the box claims, you're not going to get that tent up in "less than 5 minutes" and no, it's not as easy as it looks, either. With a fair bit of practice at home, though? You could get it up within 10 minutes with little to no aggravation. If you're sticking to the classic "hot dog over the open fire followed by some s'mores", well... you can skip over this one. If, however, you want to make something else (like marinated grilled chicken with fresh avocado and mango) you'll need to prep ahead for meal times. 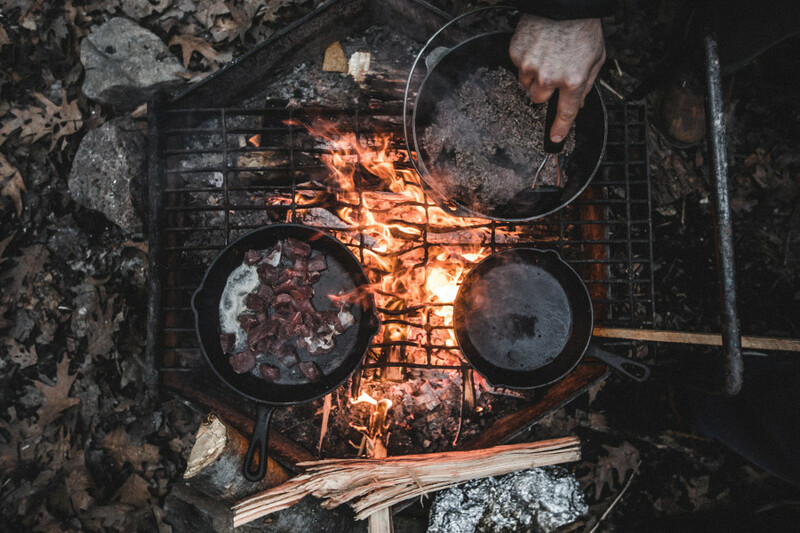 Pinterest is an awesome place to go when you're looking for camping recipes that you can use to test out that new camp stove - you're bound to find something you (and the family) will love! You can find a nice dutch oven on Amazon for a pretty decent price, too! Most tents come with rain guards but... they don't always work. It's definitely hard to get a good night's sleep when you're laying in a puddle of cold water. I'll never forget the time that Bill and I went to Maine and woke up with water inside our tent (even with the rain cover on the tent). To waterproof your tent, purchase some silicone sealant and spray it all over your tent (it works better if you do this as you're setting your tent up - this way you get the roof of the tent perfectly). You might not believe me when I say this but it gets cold at night in the middle of the summer. Those mid to late 50's you crave in the winter will be your worst nightmare in the summer. 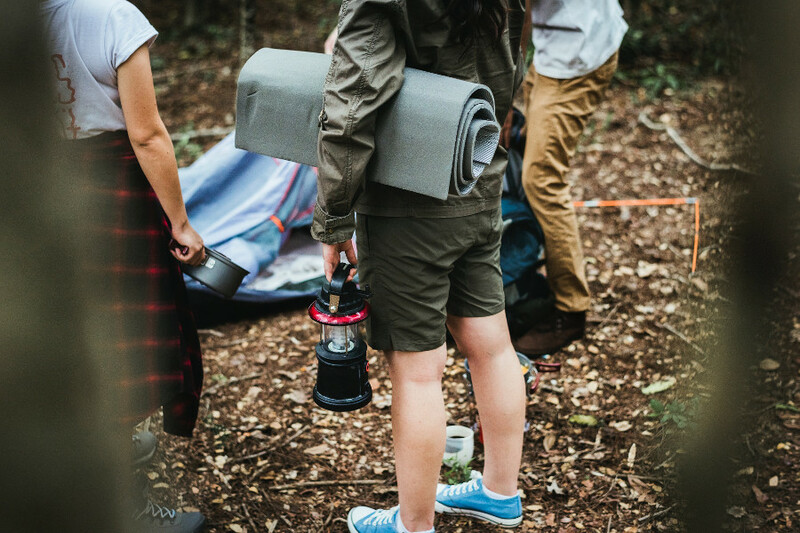 It's never a bad idea to bring a few extra blankets (or sweaters) while camping! Eliminate how many bags or storage bins you have to lug around the campground by packing your clothes (and shoes) in your sleeping bag (you'll thank us later). Oh, and stock up on some compression bags while you're at it too! Did you know that hand sanitizer is an awesome fire starter? Not only that, but it keeps the bugs away too! Lint or cotton balls work really well to start a fire, too. Oh - and trick candles (you know, the ones that people put on birthday cakes to annoy the heck out of the birthday boy/girl because they won't go out). If you're looking for something really neat, check out these waterproof matches! Without fire, you won't be able to cook or have hot water. So don't forget the fire starters! Setting up camp in the dark is not fun. Don't be that person who forgets batteries for their one lantern. Head lamps work great when camping, too (especially for when you have to use the bathroom in the middle of the night). There is camping equipment you really don't want to leave without (trust me, it's not fun being stuck in the woods with no TP). ...you know, all of the outdoor gear you shouldn't forget but somehow always do! Mother nature is an unpredictable, yet beautiful, thing. 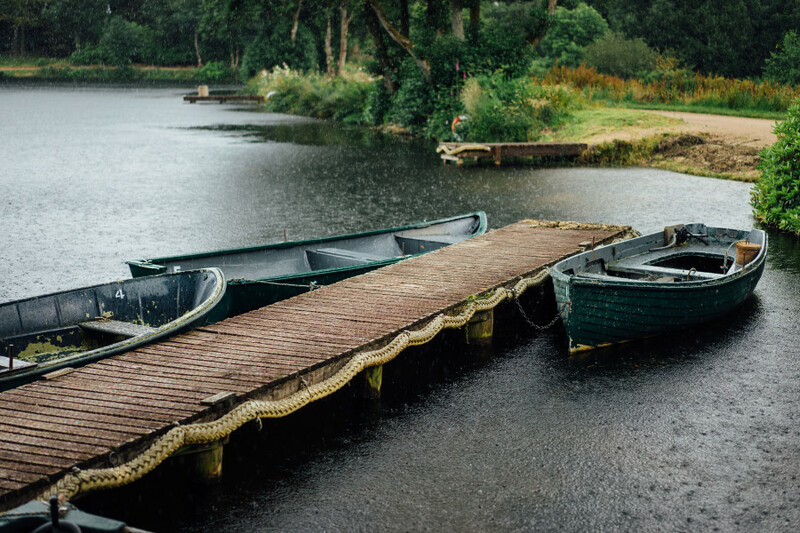 Whether your'e planning your camping adventure or not, one thing you'll want to keep your eye on is the weather. Checking the forecast for your trip is one of the most obvious, yet forgotten about, camping hacks. Unless you're camping in an RV or a cabin, rain is going to affect your trip. Hell, it may still be an annoyance if you're in an RV or cabin! Many campgrounds will close their outdoor activities when it rains which may put a damper on your day. Before you check yourself into the Bates Motel of campgrounds do a quick Google search to see what previous campers have said about the campground you're looking into. Googling campsites will also give you a feel for how well the owners take care of the place, what outdoor activities they have, and more! 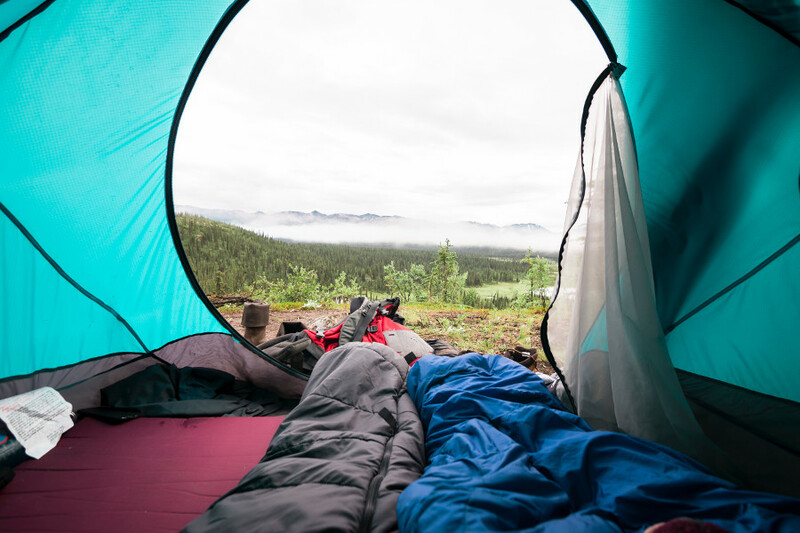 Leaving the slightest bit of moisture on your tent can grow mildew and mold - both things you should stay far away from. When you wake up on your last day of camping, take your tent apart and allow it lay in the sun for an hour or two. If it's raining the day you leave, make sure you dry it the next day (or when it's sunny next). Whether you are camping, hiking, or just doing a nature scavenger hunt, this camping hack should go without saying! Make sure you clean up after yourself when you're ready for departure. Clean up any and all of your garbage (including under the picnic tables) before you leave your camp site. And, if you see garbage in the next site over, be a good person and pick it up! Camping is all about getting out and having fun in good old Mother Nature. Leave your worries at home and enjoy the fresh air! Over to you: ​​​​Have any other RV or tent camping tips or camping ideas? Leave a comment down below!